I drink green tea on a daily basis so when I saw that Holland and Barrett had brought some new teas out, I couldn't really resist. They're all organic too! 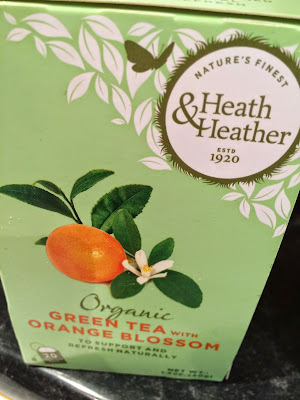 I decided to try the Green Tea with Orange Blossom first as I love oranges and I thought that it'd be nice to drink in the morning to give me a little energy boost. Also, it may also be nice to drink iced in the summer. It tastes just as I expected it to. It has a lovely orange flavour which isn't too overpowering as the green tea balances it well. I would recommend this tea if you love oranges like I do!